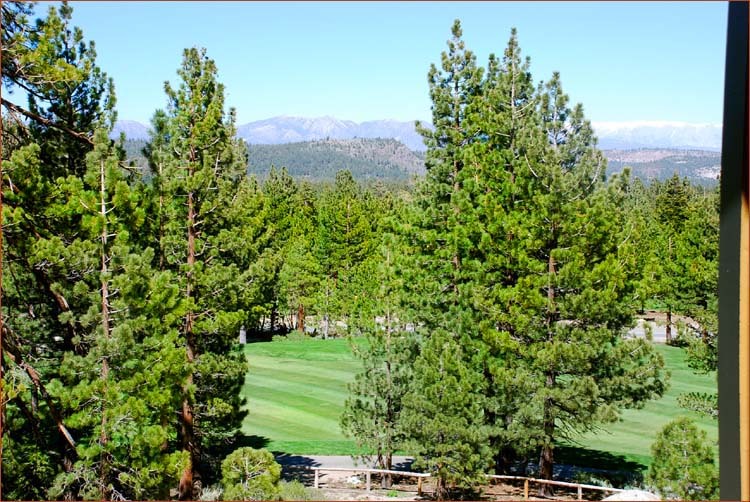 Sierra Star golf course and Snowcreek golf course bring incredible views of The Sherwin Mountains and Mammoth Mountain to your game. Golfing at higher elevations offers it's own unique challenges and rewards. Playing on the Mammoth Lakes golf courses also means a visually stunning golfing experience surrounded by the beautiful Sierra Nevada mountains. Professionals and new golfers alike will enjoy improving their skills on our great courses. Because these courses are situated at the highest elevation in the state of California, they draw their fair share of golfers from around the state. They come for the challenge, but they linger over the stunning views of the White Mountains, The Sherwin Mountains and Mammoth Mountain that make for an amazing background to your game. Known to be a challenging 18-hole, par-71 course where you will play amongst beautiful lakes and on fairways lined with mature trees that will make for a peaceful day on the links. At this elevation you can expect the most amazing blue skies, mountain views everywhere you look and even views of various mountain wildlife that frequent the area. You could see a bear fishing at a stream or a doe and fawn standing at the edge of the green admiring the view. This 9 hole, par-35 course is designed to accommodate golfers of all abilities and is located in the visually spectacular Mammoth Meadows. Here, you will play surrounding by the gentle babbling of the brook that winds it's way amongst the wildflowers that blanket the ground to the horizon. The Sherwin Mountain Range and Mammoth Mountain offer the most amazing views from this course. Remember, when golfing at this altitude, you can expect to add a number of yards to your drive so be prepared. It is recommended that you adjust down one club, at minimum. 8000 feet can mean a totally new golfing experience which will also help you when you golf at sea level. Maggie Larson residential specialist at Sierra Resort Real Estate is your area expert in Mammoth Lakes. If a golf course home has always been your dream, I invite you to view our listings.